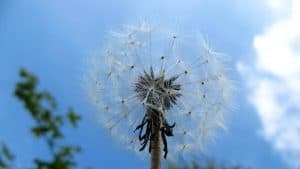 Our Wednesday Care Farm group along with many of our farm visitors sing the praises of the splendid scene at our Forest School area on the site of our Ringwork and Bailey. The Red Campion (Silene dioica) and Bluebells (Hyacinthoides non-scripta) beautifully carpet the slopes on the castle hill and the slopes around it. The colourful display is also in evidence along the riverbank to the left of the Forest School area and in patches around our organic pasture. It is a truly glorious sight. 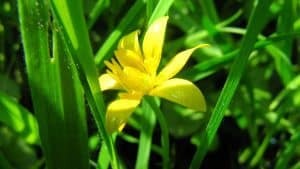 We also have many examples of Dandelion (Taraxacum), Chickweed (Stellaria media), Wood Forget-me-not (Myosotis sylvatica), Germander speedwell (Veronica chamaedrys) and the exquisite Lesser Celandine (Ficaria verna) is now all but finished but can still be found in shaded areas with its glossy yellow flowers and heart-shaped leaves. 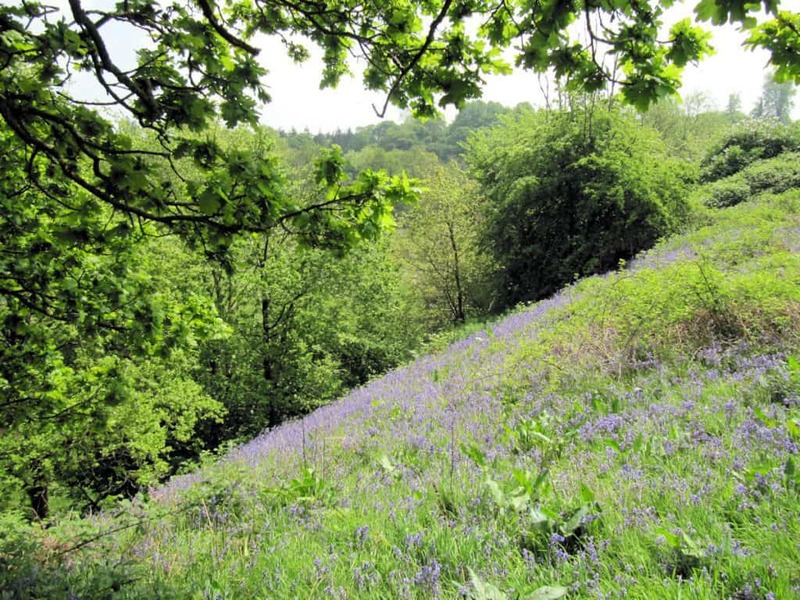 In 2012 our long term volunteer David Proctor, who is very knowledgeable when it comes to our native flora and fauna, wrote about the ‘return of the bluebells’ to Fordhall’s slopes. (On Wednesday 9th May 2012) The nature trail provided an example of Red Campion to the left of the trail. 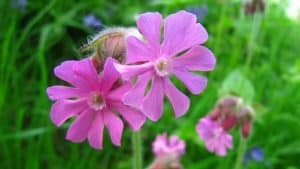 The Red Campion does not have a scent unlike the White Campion, it is a tall handsome plant with masses of red flowers which would complement any garden. Both Red and White Campions are hedgerow plants, but the red variety is more likely to be found in woodland shade than the white. Where red and white plants are found together they can hybridise, with flowers in a wide range of pinks. Another even greater delight was revealed when I reached the motte and baily area (now known to be the rarer ringwork and bailey) where both the left hand inaccessible slope and the top area each side of the trail is covered with a carpet of bluebells providing the best display since 2009. 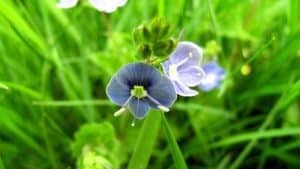 This is because the grazing cattle and sheep have been unable to access these areas during the critical months of March and April when they would damage and much reduce the May display, by both walking on and eating the emerging leaves, therefore reducing the energy levels of the plants. 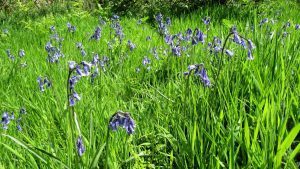 The area needs to be grazed later in the year when the bluebells leaves have died back after replenishing their bulbs ready for next year’s display. At the far end of the extended trail there is an even greater display of Red Campions where the trail turns back alongside the drainage channel towards Fordhall with plants growing in profusion along the hedgerow above the drainage area for several metres. Both the bluebells and the Red Campions are brilliant examples of the enduring marvels available to be experienced at Fordhall. Why don’t you visit our organic farm and delight in natures glory? 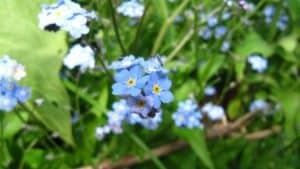 I wonder how many different examples of our countries flora you can spot at Fordhall Organic Farm. Gary Kanes Shareholder and Volunteer. ← Straw Bale Bunkhouse – work is now underway!